An Instructables user named revrekad has created a baby floor vacuum cleaner robot controlled by Arduino with a motor shield. The program is simple and similar to previous one - where Arduino was used with H-bridge motor-driver board (not Arduino shield). LED is not used, so pin 13 is free now. 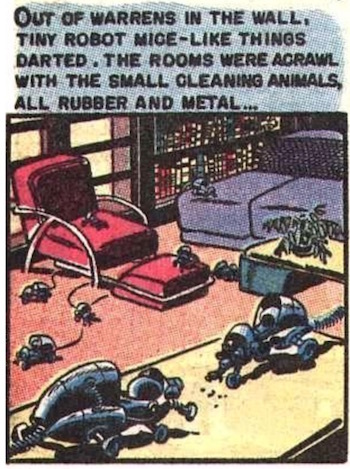 Via Floor vacuum cleaner robot.